There is a shift that occurs when places to visit like Ladakh encounter meditation - the ultimate the mindful therapy. This is the first time when Go2Ladakh is offering Meditation in Ladakh retreat. It’s not just holiday filled with heaps of adventure, it is also the vacations filled with peaceful mindful therapy called Meditation. Keeping this in mind that doing meditation in one of the best places to visit in India - Ladakh while travelling has benefits that last far beyond your trip ends. You know it’s time for a change. Maybe you feel stuck or directionless in your monotonous life. Maybe you just left your relationship and job. Maybe you have been itching for nature’s therapy that too with the mindful technique called Meditation. All those factors conclude in end at one point; “You want to feel creative and live again”. Isn’t this true? Celebrate the new chapter and experience Mediation in Ladakh through wider eyes only with Go2Ladakh Leh-Ladakh tour package. 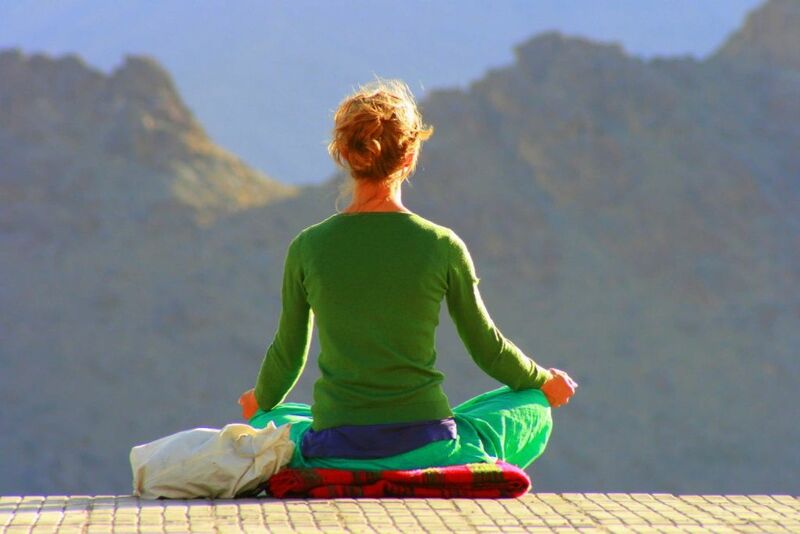 Thee are all new amazing reasons to do Meditation in Ladakh, one that will help you step out of the fishbowl you live and came back with a renewed perspective on life. Have a look at them and take inspirational reasons from them to visit Ladakh.
? Live your Ladakh vacations by learning how to translate what you have learned throughout your life into your day to day life with the meditation therapy.
? Stretch and allow yourself to start to see the world less in black and white and learn how to see the nuanced issues by seeing from different perspectives.
? Examine the elements of deeper travel with Go2Ladakh that leads to deeper transformation through meditation.
? Exploring Ladakh shouldn't be restricted only to trekking and other adventures. Instead, learn something new like doing Meditation in Ladakh. Create your very own Ladakh tour package with doing Meditation in Ladakh only with Go2Ladakh.